DiscLabel is supported up to OS X 10.9. See the FAQ for details on later OS version limitations. Never retype playlist information again! 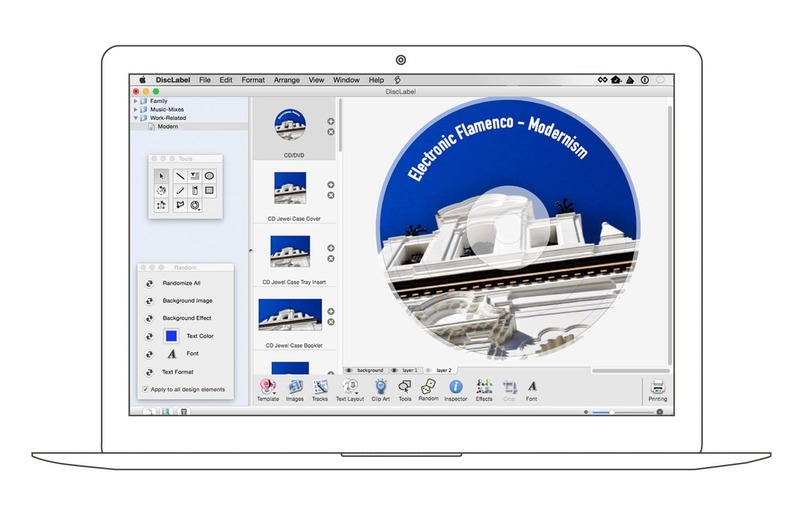 Browse images from your iPhoto library and place them right into your design: quick one-step design for discs, jewel cases, booklets, and more. Use professionally-designed templates, including a wide range of business themes, and always make a great impression. Unified design process allows easy design of label and packaging elements in one step.